“Jabhat al-Nusra” (Organization banned in Russia) terrorists captured pilot of the Su-22 jet downed near the Syrian city of Aleppo. The video published online shows dozens of militants surround the pilot on the ground. Extremists are shouting out slogans. It was earlier reported that Syrian Air Force Su-22 jet was downed by terrorists in southern Aleppo. The video of the falling plane was also published. 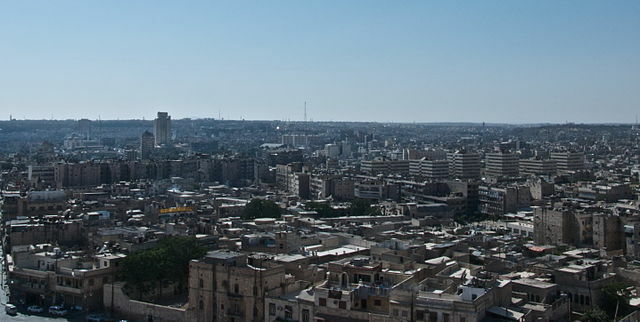 Fierce clashes continue in Aleppo. Militants shell residential districts by so-called “hell guns”, improvised high-caliber mortars. It was also reported that terrorists received fresh reinforcements from Turkey. This entry was posted in News from the Middle East and tagged Aleppo, Jabhat al-Nusra, Syria. Bookmark the permalink.